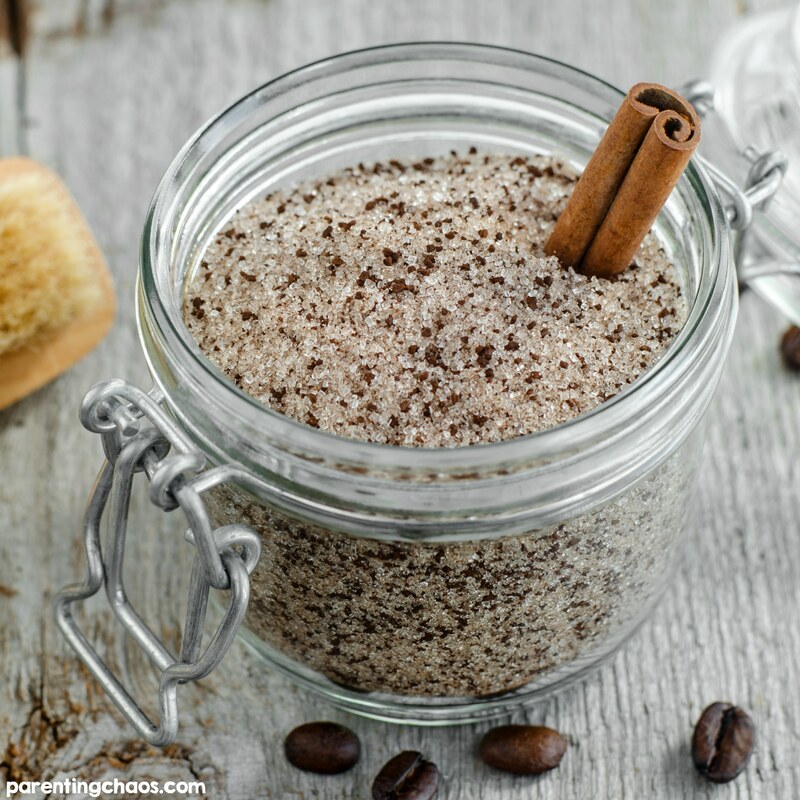 Add a boost to your morning shower with this Homemade Cinnamon & Coffee Body Scrub! Lately I have been in love with making my own non-toxic beauty supplies such as this DIY sugar scrub. 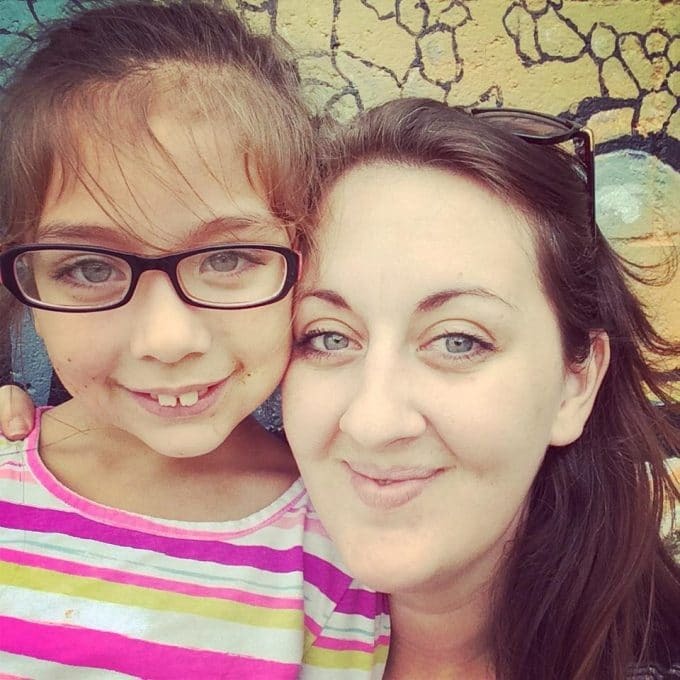 Making your own beauty products at home is super easy to do and wallet friendly! Earlier this year I fell head over heels in love with Cinnabon’s classic cinnamon roll coffee. It’s like a little bit of heaven with every sip. 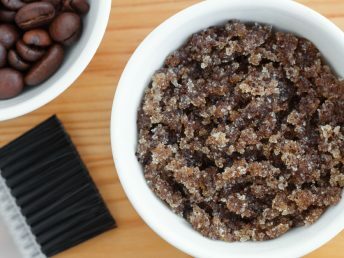 That heavenly blend of cinnamon and coffee was the inspiration behind this coffee sugar scrub. Cinnamon: stimulates cell regeneration and blood circulation. It is also packed with antioxidants, vitamins, and minerals that are essential for youthful skin. Coffee: is filled with antioxidants that help protect skin against everyday environmental exposure. Plus it is said that caffeine is awesome at fighting cellulite. Place all the ingredients in a glass mixing bowl and stir until combined. 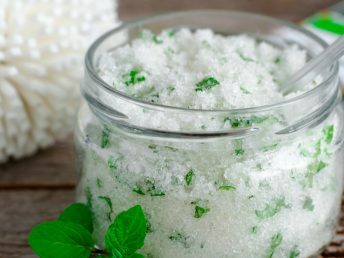 Place the finished sugar scrub in an airtight glass container. Note: To make a body scrub with more moisture add 2/3-1 cup of coconut oil. This body scrub is also absolutely heavenly with Cedarwood essential oil which is a fantastic oil for overall skin health. 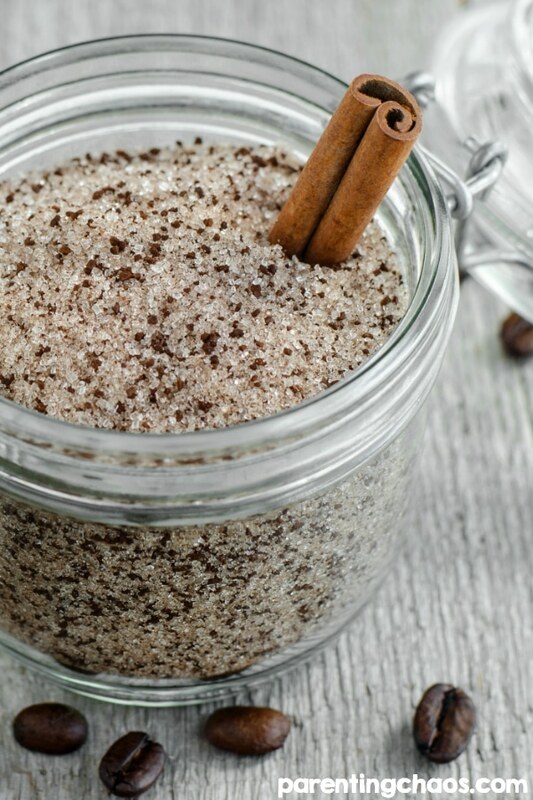 Wet skin and then apply your homemade body scrub in a circular motion. Do not apply this body scrub to your face. Rinse with warm water and pat dry. Once dry apply your favorite moisturizer. 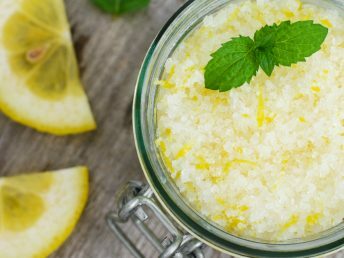 Needing a facial scrub recipe? 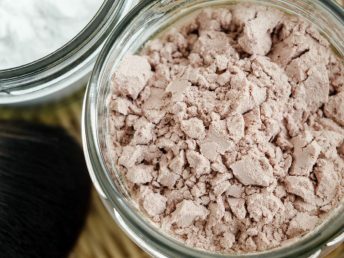 You can find all of our DIY Face Masks and Scrubs here. 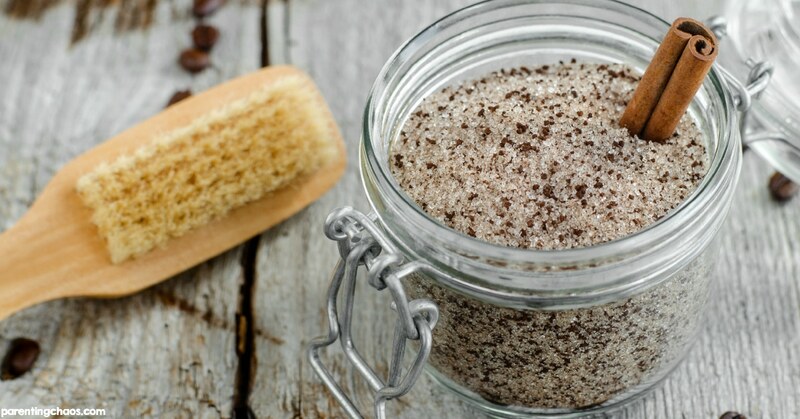 Not making this DIY Cinnamon and Coffee Body Scrub right this second? Pin this post so you can easily find this recipe once you are ready!